Wedding, Renewing your Vows or about to celebrate that Special Anniversary, then one of our First Dance Discos can provide the perfect evenings entertainment. First Dance Discos have over 20 years’ experience in the wedding entertainment industry. 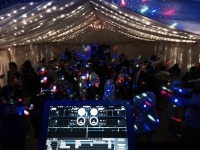 Based in the Cotswolds we are a professional and reliable wedding Disco & DJ hire company. Our First Dance Mobile Discos are designed for that special occasion. 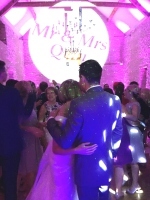 We have combined state of the art sound, atmospheric LED room and dance floor lighting, along with professional DJ's providing everything you need from the first dance to the last. Sound & Lighting - Tailored to suit your venue and theme of your wedding. Our Professional DJ's - Provide you with the right host for you and your guests. All of our DJ's are happy to take your special requests. ​And if you are having trouble choosing that special song, for your first dance, then speak to us. We may be able to help with suggestions or even produce a unique mix just for you. Your Wedding day is as special to us as it is to you and we are happy to tailor each event to your needs. 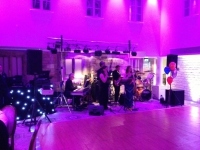 We have a great reputation within the wedding and entertainment industry and have played at just about every Wedding Venue in Gloucestershire. But don't take our word for it just read some of our customer Testimonials . Speak to First Dance Discos Today! 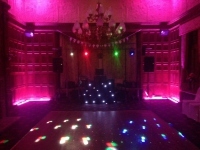 Contact First Dance Discos about hiring your wedding Disco and DJ, we are happy to provide a detailed no obligation quote. We think you'll be pleasantly surprised!